DATE OF BIRTH: April 25, 1924 – Seaforth – County of Huron _ Ontario. DATE OF DEATH: October 17, 1944 20 years 5 months. WIFE: Mrs. Annie Elizabeth Murray – Woodstock – Ontario. DAUGHTER: Miss Sandra Joan Murray. MOTHER: Mrs. Catherine Murray – Walton – Ontario. BROTHERS: Charles, William, David, Gordon and Kenneth Murray – Walton – Ontario. SISTERS: Mrs. Grace Kirkly – Sultan – Ontario. Mrs. Norma Larmour – London – Ontario. Mrs. Dorothy Nott – Clinton – Ontario. Mrs. Margaret Haase – Ettrick – Ontario. ENLISTMENT: October 8,1943 – London _ Ontario. ENLISTMENT AGE: 19 years 5 months. Donald left school at the end of Grade 8 at the age of 15. His father was ill and he went to assist his father on the family farm. He worked on the farm for 2 years. His father died in 1940. He then went to work for Standard Tube in Woodstock and upon his enlistment he was employed as a welder. He had worked there for 2 ½ years. Donald was married in 1942 and he and his wife Annie had a baby daughter who was born in November 1942. Following his enlistment, Private Murray met with Army officials and their observations were that Private Murray had a high learning ability, that he was easy going and that he seemed to always be cheerful and smiling and had a twinkle in his eyes. He had told them he had his own car and that he liked tinkering with it. Their suggestion was for him to go into the Infantry and the Automotive Group. October 8, 1943 – Private Murray to No. 1 District Depot in London – Ontario. October 21, 1943 – to No. 12 Canadian Army Basic Training Centre at Chatham – Ontario. December 18, 1943 – to No. 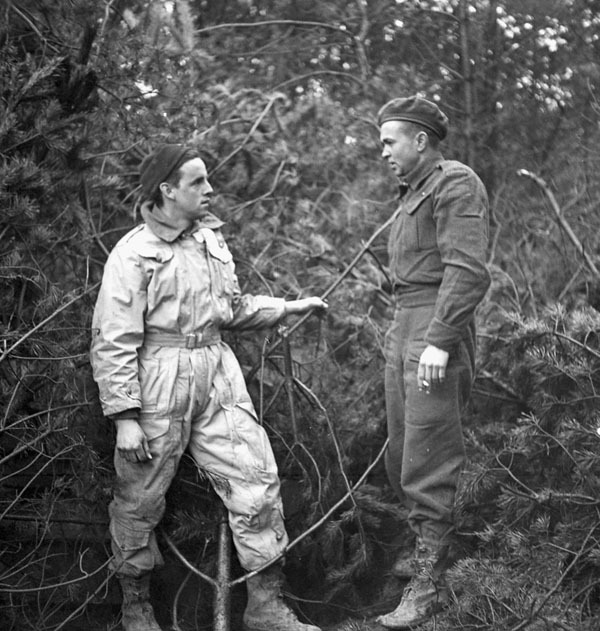 29 Canadian Infantry Training Centre based at Camp Ipperwash – Ontario and was attached to No. 4 Company. December 24, 1943 – granted Christmas leave until December 28, 1943. March 6, 1944 – to No. 11 Advanced Driving and Maintenance School to attended course No 14 for becoming a Driver and course No. 10 for becoming a Driver Mechanic of Universal Carriers in Woodstock – Ontario. April 14, 1944 – to No. 9 Canadian Army Mechanical Maintenance School in Woodstock – Ontario. May 26, 1944 – completed his courses for Driver and Driver Mechanic for Universal Carriers. June 14, 1944 – granted two weeks embarkation leave until June 27, 1944. July 3, 1944 – while at No. 29 Canadian Infantry Training Centre at Camp Ipperwash – Ontario, Private Murray qualifies as a Driver I. C. Class III for wheeled vehicles and as a Driver I. C. Class III for Universal Carriers. July 12, 1944 – Private Murray departed from Halifax and Canada for overseas. July 19, 1944 – Private Murray arrives in the United Kingdom. September 2, 1944 – Private Murray lands in France. The Battle of the Scheldt began on October 2, 1944 and the first priority was for the areas north of Antwerp, Belgium to clear the access to the South Beveland. 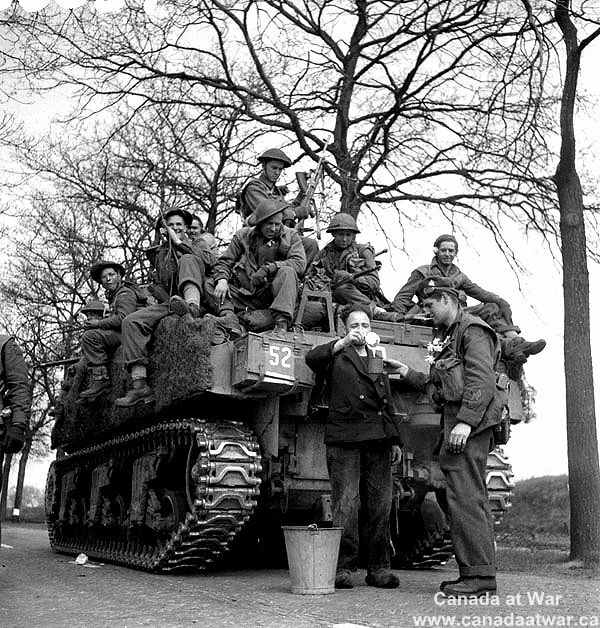 On October 2, 1944, the 2nd Canadian Division began its push northward from Belgium. 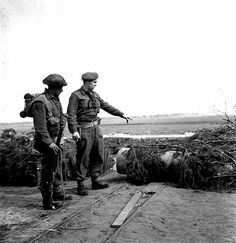 The Canadians were facing an enemy who controlled the high ground, a parachute Battalion and several battalions of self propelled guns. On October 6, the first battle for the South Beveland took place at Woensdrecht. The Germans were reinforced and they were waiting. For the next week, the battle took place over open and flooded land. They also had to deal with the driving rain but also booby traps and land mines. On October 13, the Black Watch Regiment of the 5th Infantry Brigade was totally wiped out. The rail station at Kortevan was secured and there was heavy fighting at Hoogerheide but on October 16, 1944, Woensdrecht was secure. The commanding Officer viewed the situation from the air and also sent patrols out to probe the enemy lines, a sandbox model of the town and its defences was laid out and Company Commanders studied this and took it back to their men. On October 16, 1944, the Hamilton Light Infantry were tasked with taking and securing Woensdrecht. They had the support of the artillery and a Squadron of tanks from the Fort Garry Horse. At 3 am in the morning they attacked and during the battle they were facing enemy para troops, but the advance and ensuing fight was successful and the town was secured. During the morning of October 17th, the enemy counter attacked and managed to overrun one of the HLI Companies. The fight for Woensdrecht would continue until October 22, 1944. 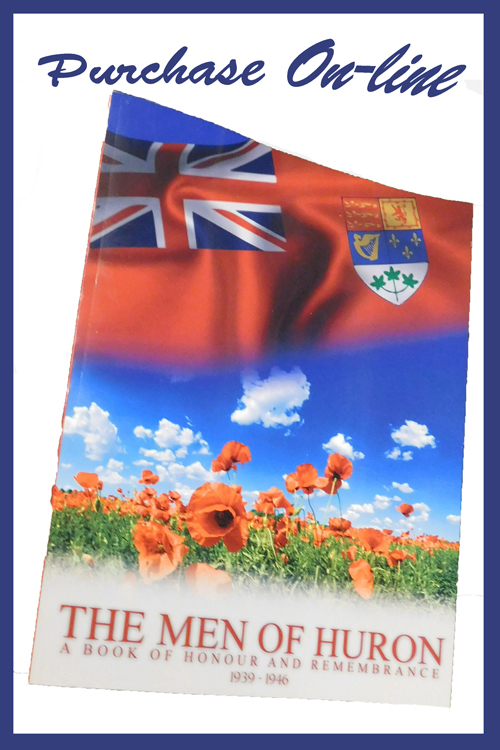 All the Regiments were suffering from a shortage of men and the Royal Hamilton Light Infantry did not have the manpower to prevent the enemy from infiltrating the Allied lines. 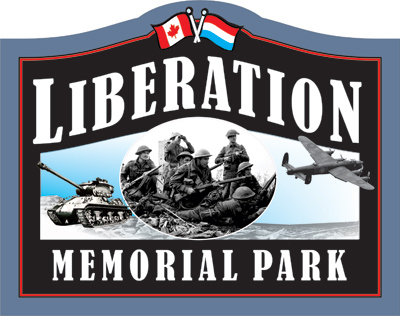 In the early morning hours of October 16, 1944, the Hamilton Light Infantry began their attack onto the town of Woensdrecht behind a heavy barrage from the Canadian armour and artillery. They had to cross wide. Open and flooded lands as their advanced moved ahead. They fought their way into the town and following that they fought their way onto a low ridge above the town. Once they had their objective they continued to fight and refused to move off the crown that just captured. They refused to move from their positions after the enemy had thrown everything they had at the Regiment. Even when the enemy was counter-attacking and overrunning them they held with the support of the armour from the Fort Garry Horse. During the course of the morning darkness, the Regiment lost their advantage, as the enemy attacked over and over again. They had difficulty locating their objectives and preparing their defenses and one Company was overrun and a second Company was hanging on by less than a thread. Private Murray, was last seen by another member of his Platoon at 10 am from 50 yards distance. He was defending the position of the Platoon against the threat of possible enemy counter attacks. At 7 pm those enemy counter-attacks came with infantry and self - propelled guns and No. 9 Platoon with Private Murray was overrun and cut off from the rest of the Company. He was holding on against enemy mortar fire, grenades and self propelled guns. He was in danger of being captured. Low cloud cover was preventing the Typhoons from coming in as support and then during mid-morning the enemy again counter-attacked and were within 100 yards of the Regiment. They called for artillery support and the barrage was on the mark and 90% of the attacking force had been eliminated. During October 16-16, the Royal Hamilton Light Infantry had been under constant enemy artillery and shell fire and their losses were 21 men killed and 140 men wounded. Mrs. Murray received a letter dated July 13, 1945 from Major – General A. E. Walford per the Adjutant General expressing regrets on the death of her husband Private Murray while serving his country in the North-West theatre of war. The letter further states that the Minister of Defence and the Army Board send her their deepest sympathies. Donald had $30 in War Savings Certificates, $500 in Victory Bonds and a Life Insurance Policy in the amount of $1,000 through Great West Life. His Last Pay amounted to $80.41 and his War Service Gratuity amounted to $128.37.